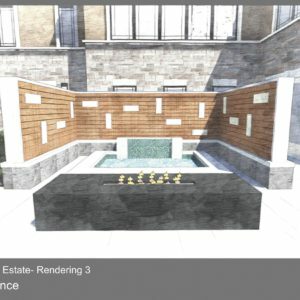 A large home with some unique challenges: One: how to avoid having the basement walkout outdoor living space not feel as if it was in a hole? 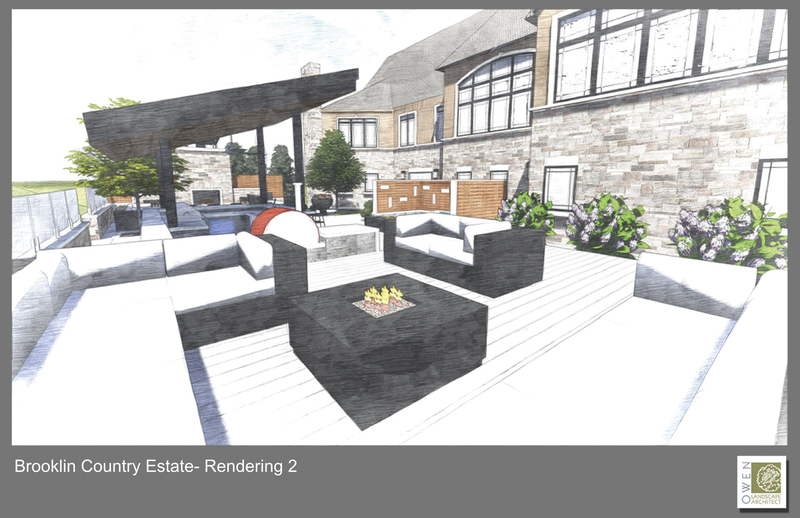 (the surrounding grade was higher), and Two: how to link the main level covered verandah with the walkout terrace? 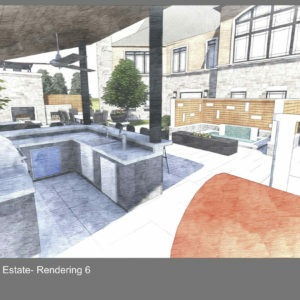 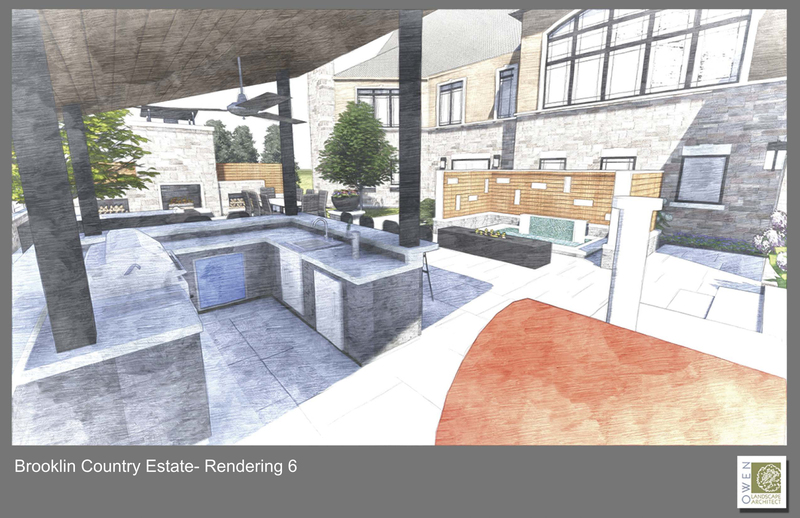 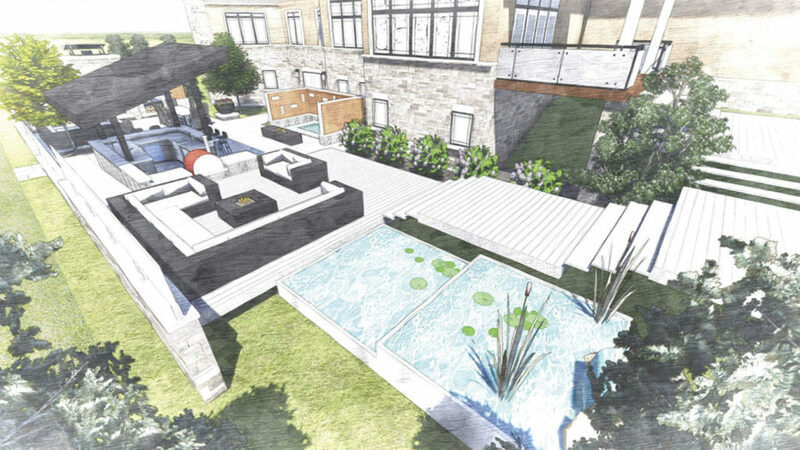 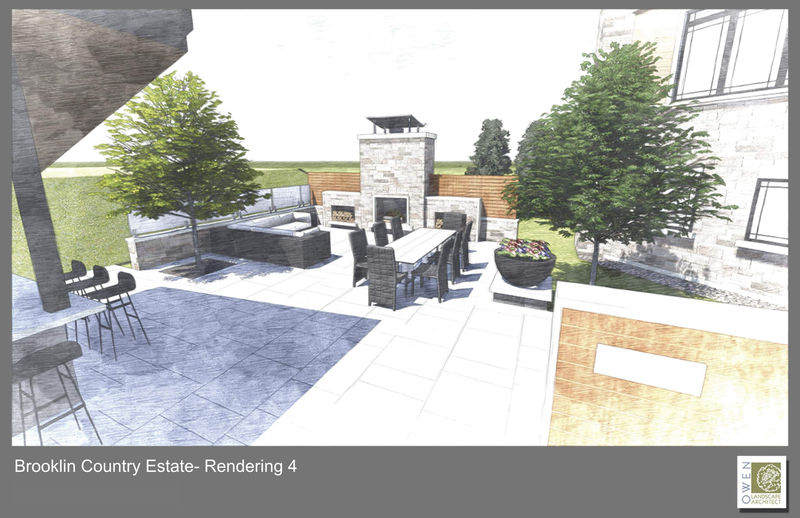 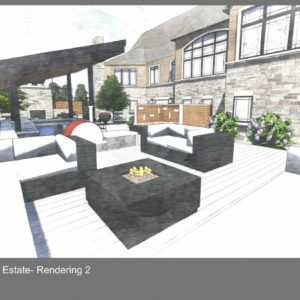 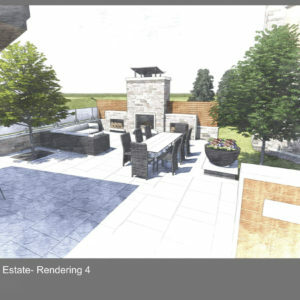 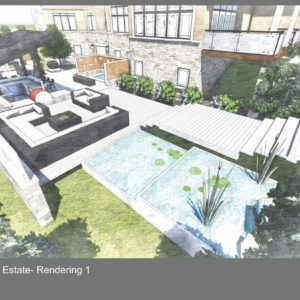 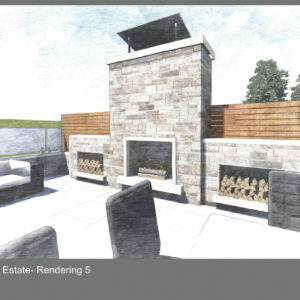 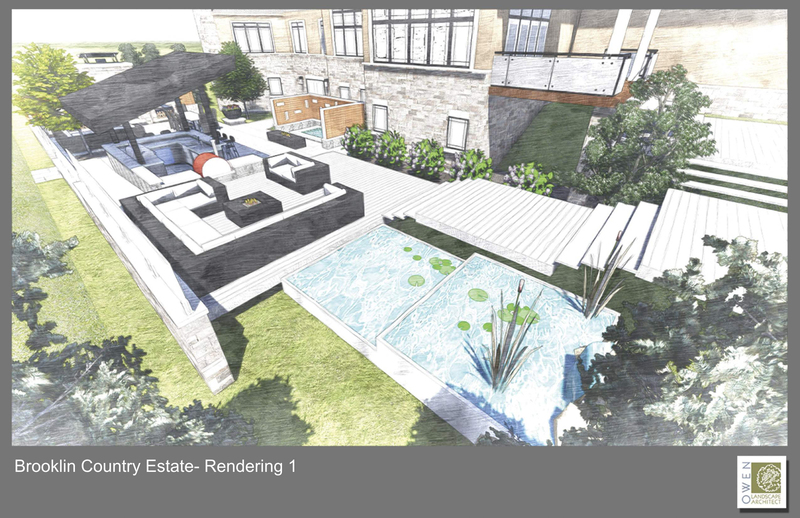 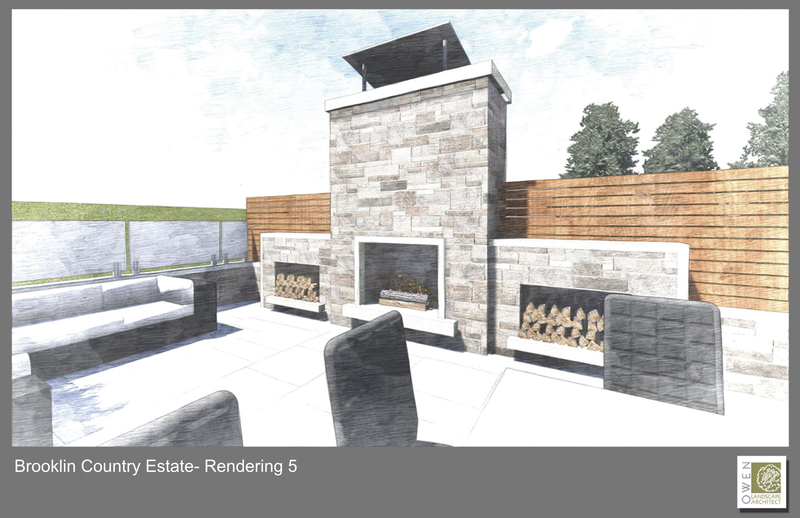 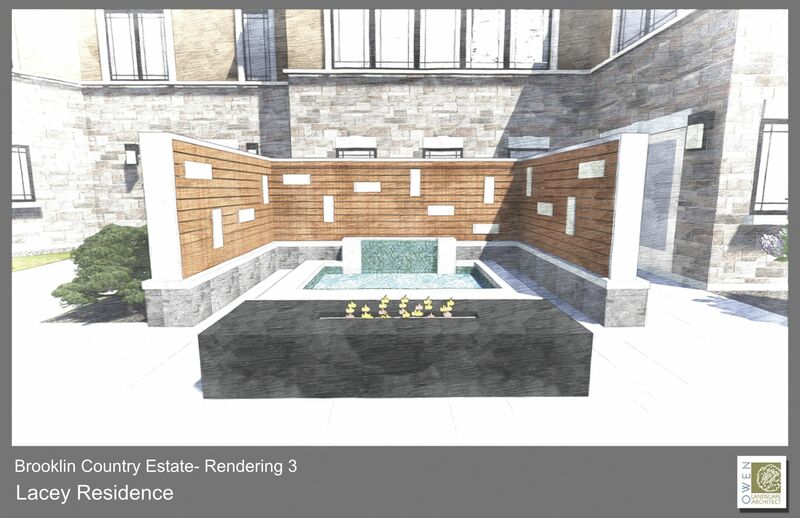 The solution was to retain the embankment thereby creating a “courtyard” feel to the space, and wide steps leading up the slope to the driveway elevation.